A revamp of the iconic Finlandia concert hall in Helsinki is costing nearly fifty million euros more than planned. 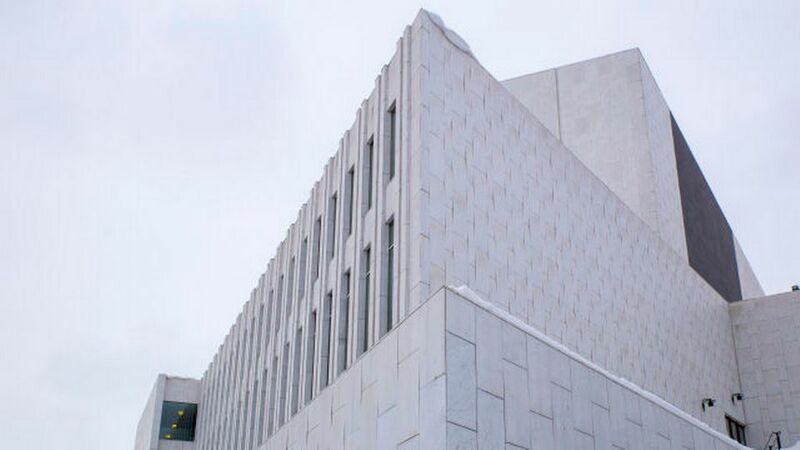 Documents published by the municipality of Helsinki, which is paying for the repairs, show that costs have overrun by as much as fifty million euros on the project to renovate Finlandia Hall. The documents detail billed renovation costs amounting to some 119 million euros. In the autumn Yle reported that the project was set to cost some 70 million euros, although that estimate included only basic repairs to the building. The plan is a top to bottom repair and restoration job on everything from the facades to the plumbing, while also creating space for new ventures on the premises. The biggest challenge for the project is how to introduce modern technology to the building while respecting the original architectural style. The biggest question to be resolved is whether to use the original marble or to switch to a less high-maintenance material on the facades. To help in the decision, contractors are testing eight different materials on a trial wall. Three of those materials are marble tiles of different types, with white granite, white concrete and ceramic tiles also tested. Facade renovation is expected to account for between 12 and 15 percent of the total cost of the work. The project is scheduled to begin in the spring of 2022 and to be completed by 2024. A temporary structure is to be erected alongside the hall for the duration, allowing a normal programme of events to continue. The concert hall, set by Töölö bay in the heart of Finland’s capital, was opened in 1971. It hosted the series of meetings leading to the creation of the OSCE in 1975, and has been a diplomatic and cultural icon since then.